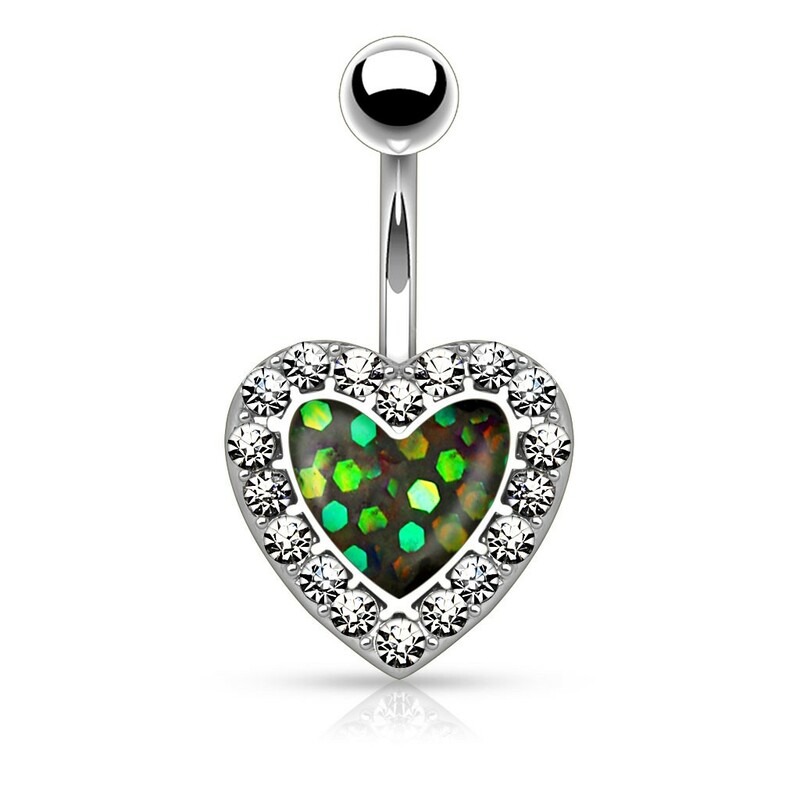 ‌Also take a look at the similar belly bars we have. 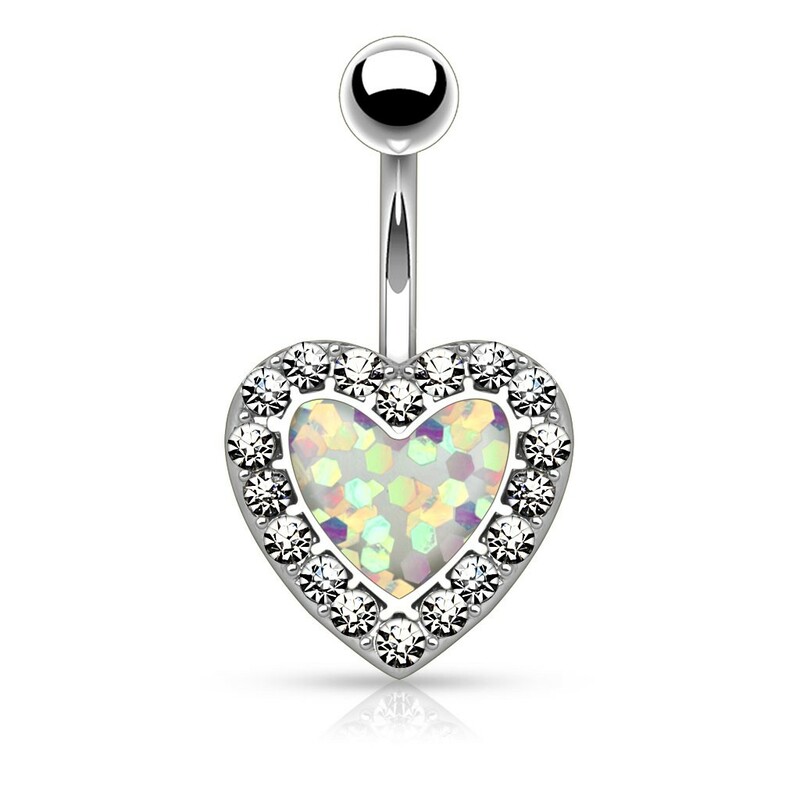 This belly button piercing has a heart surrounded by crystals and an inlay of an imitation Opal stone enriched with glitter. This creates a colourful and strong glimmering whole. The heart is approximately 14.5 by 14.5 mm in size.